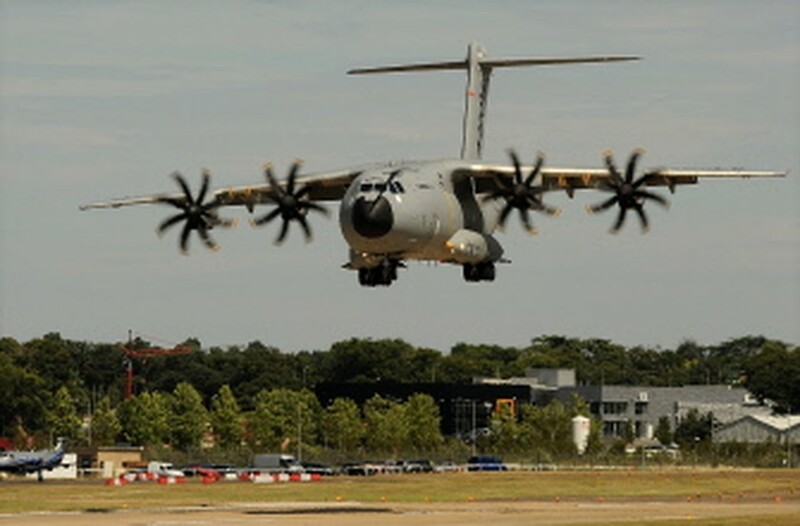 FARNBOROUGH, United Kingdom, July 20, 2010 (AFP) - Aircraft manufacturers awaited more orders Tuesday at the Farnborough Airshow, a day after it took off with rivals Boeing and Airbus netting 23 billion dollars in new contracts. A rush of orders for 192 short- and long-haul passenger jets worth a total of 23.3 billion dollars (18 billion euros) marked the start of the show, as airlines and leasing firms sought to meet soaring Asian demand for air travel. The biggest single order came from Dubai airline Emirates for 30 Boeing long-range 777 aircraft worth a combined 9.1 billion dollars. General Electric's aircraft leasing unit agreed to buy 40 single-aisle 737-800 planes worth 3.0 billion dollars from US aerospace giant Boeing. GE Capital Aviation Services also bought 60 A320 single-aisle planes with a catalogue price of 4.5 billion dollars from Boeing's fierce European rival, Airbus. Airbus won a 4.4-billion-dollar order from new US group Air Lease Corporation (ALC) for 51 A320 jets while Russian airline Aeroflot confirmed it was buying 11 long-haul Airbus A330-300 carriers worth 2.3 billion dollars. "The leasing companies are looking, to not only an upturn in Western European and US markets, but they are also seeing the opportunity in emerging markets," independent aviation analyst John Strickland told AFP. "There's strong demand for aircraft coming through from not only the Middle East but other parts of Asia and in particular China so getting those aircraft on the books now... really is placing them in a strong position to take advantage of that upturn and the growing economies in the years to come." Although the 192 planes ordered Monday are together worth more than 23 billion dollars, customers traditionally receive large discounts on the list price of each plane when the orders are of a certain size. Emirates' huge order came only a month after the airline agreed to spend 11.5 billion dollars on 32 Airbus A380 superjumbos -- the biggest single contract in civil aviation history. The Farnborough International Airshow near London is one of the aviation world's biggest trade events and renowned for being an arena for major deal announcements. Defence will also be in focus Tuesday at the event, which traditionally sees the announcement of orders for military jets. But with governments set to slash defence budgets to help reduce huge public deficits, major deals may be scarce. Boeing will be hoping to secure more orders here for its mid-sized 787 Dreamliner -- a fuel-efficient jet which will be on display in Farnborough after making its first flight outside of the United States on Sunday. The plane, which can fly very long distances and seat up to 330 passengers, has been beset by production delays. Jim Albaugh, chief executive of Boeing Commercial Airplanes, said on Sunday the company hoped to deliver the first Dreamliner to launch client All Nippon Airways no later than January. Airbus is working on a new long-haul plane of its own -- the A350 XWB (Extra Wide Body).